1st Place! Art by Nelli Ahosola. Without further ado, here are the top picks! First place went to Nelli Ahosola, who brought a quiet magic to this woodland scene. 2nd Place! Art by Sarah LuAnn Perkins. Sarah LuAnn Perkins swept second place with her lovely milliner toiling over her enchanting hats. 3rd Place! Art by Elizabeth Hoffman. 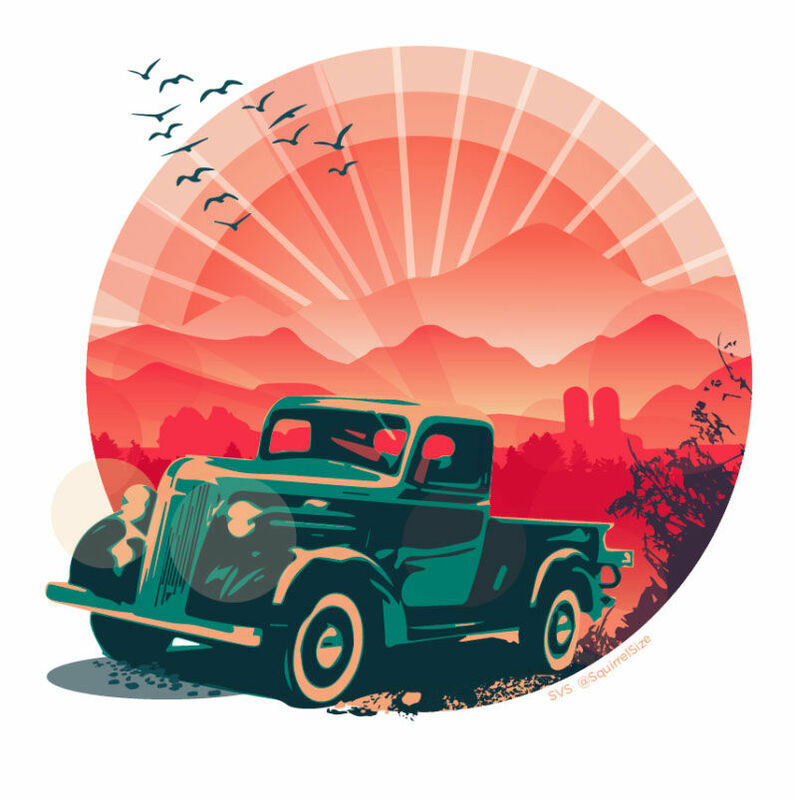 3rd place went to Elizabeth Holmes for her old-timey take on a classic old truck. â€œOK guys, that is going to do it for this year. I really appreciate all your hard work entering these contests and hope it has paid off for you in building your portfolio. Even if you didn't win or make the top of the list, using the prompts is a way to get good and work on something with a focused theme. Do not judge yourself too much here because I am not the be-all-end-all critic. If someone else judged these contests it would be a totally different set of winners. The point is to make work we are proud of and challenge ourselves each month. So keep it up!!! One of my favorite things about this contest is how you guys root for each other and try to help each piece get better. Even when those illustrations you are helping in the forum will be pitted against an image you are entering! That is more telling than anything to me. That we are all in this together and we have to keep encouraging each other despite our individual wins and losses. I'm very proud of the community we have built here and you guys are a shining example of how a community is supposed to be. We make each member stronger than they could ever be on their own.